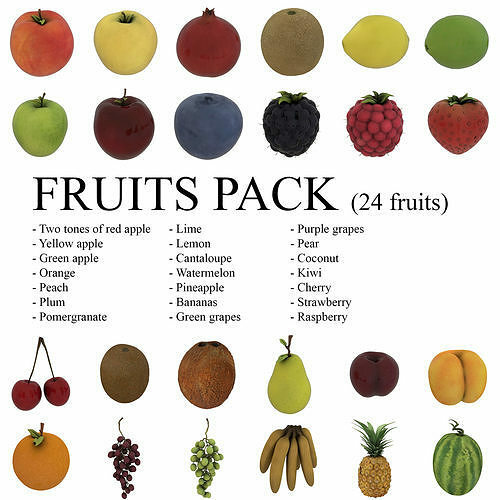 A pack containing 24 fruits. All grouped and logically named. All textures are in their own folder, organized and logically named. High quality textures, optimized mid poly topology. Contact me for your questions.